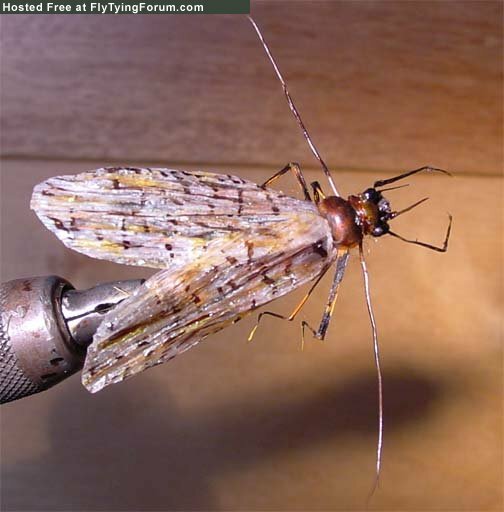 Hellgrammites are eaten by trout and other freshwater fish; fly fishermen try to imitate insects by using artificial "flies". This insect's name conjures up all types of images of horrible, unspeakable ferocity, yet the poor little thing has trouble living up to the name. Well, at least after closer inspection. This sweetheart is to the fly fisherman what chicken liver is to the catfish angler. Nasty, large, ubiquitous, but inevitable. What exactly is the hellgrammite, and why the retro name? 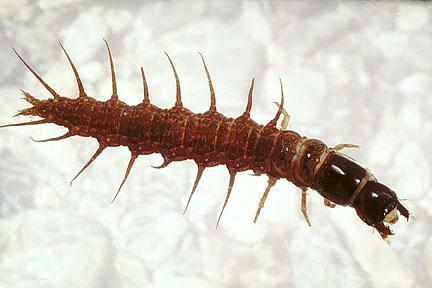 Well, this insect is actually the fat, obvious larvae of the much more ferocious looking Dobson fly. The Dobson fly is a pretty horrific looking creature, with visible mandibles that can reach up to an inch in length and an overall length of up to five inches. That’s right, if one of these suckers land on you, you may be justified to scream like a little girl. 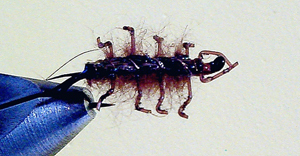 The Dobson fly lives around lakes and water fronts, but only lives in its adult form for a week. During this week-you guessed it-it uses its horrifying jaws to grasp the female while mating. Interestingly enough, the Dobson fly can't actually bite you with those formidable jaws, because it has such a horrible leverage disadvantage. The female, on the other hand, retains its short powerful jaws from the larval stage, and therefore can inflict a rarely significant wound. This bug typically lives under water in the larval stage for a few years, only to crawl out and build a cocoon when the long term celibacy gets the best of them. That's right, if it wasn't for mating season these things would never crawl out of the water. The “hell” (author’s term) can be found living under rocks under water and sometimes in the mud above ground. These little guys are so big that the fish have trouble ignoring them. They essentially resemble fat millipedes with only six real legs, the other shorter leg like appendages being stunted and insignificant. They are pretty scary looking for the ill informed, but when you find out what they can do for you in the angler department, you will shortly be getting along just fine. Artificial flies are modeled after, and look essentially like long grubs with an obvious head. The "hell" is probably one of the most common flies out there, but they are quite effective, especially amongst more aggressive surface feeders. If you want to give these artificial flies a shot, look for something wiggly. That is the best advice I can give you. Wiggly.